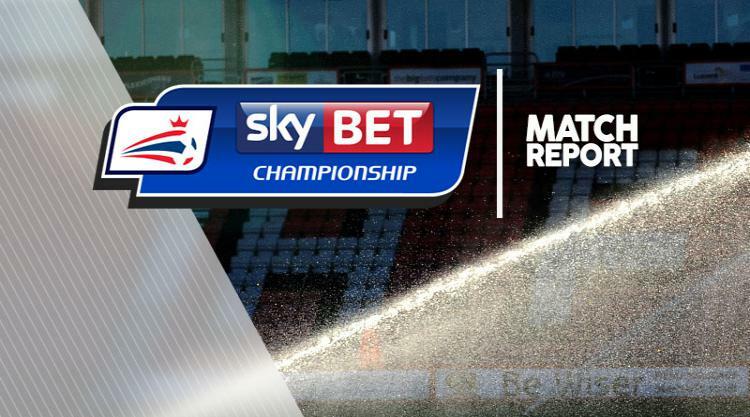 Marvin Emnes scored the only goal as Blackburn edged out Wigan 1-0 to move out of the Sky Bet Championship relegation zone. In a nervy relegation six-pointer between two of the bottom three sides at the start of the day, Emnes struck the decisive blow in the 58th minute by netting his fourth goal of the season for Rovers, whose fine start to life under Tony Mowbray continued. It was a deserved victory on the balance of play, though chances were at a premium at both ends. That will not matter to Blackburn, who have picked up seven points from a possible nine since the change of management, and their third successive league win at Ewood Park. Wigan - who were managed by assistant Graham Barrow following Warren Joyce's minor operation - are the league's lowest scorers and it showed as they barely created a chance. Winless in four, they now four points from safety. Mowbray named an unchanged side from the win over Derby, while Wigan recalled on-loan Callum Connolly along with Michael Jacobs. The hosts were on the front foot in the first minute, when Liam Feeney's curling shot just outside forced Matt Gilks into a smart low save. Wigan's first attempt came midway through the half when an awful Sam Gallagher pass was intercepted by Jacobs, who raced half the length of the pitch before firing just wide of Jason Steele's right post. Emnes wriggled free at the other end but saw his shot well blocked and soon after, his precise pass found Gallagher on the left but he scuffed wide, as Blackburn warmed to their task. But it was Wigan who came closest to breaking the deadlock in first-half injury time when Sam Morsy's 25-yard effort took a huge deflection which wrong-footed Steele but the ball trickled just wide. Blackburn got the crucial breakthrough in the 59th minute. Steele saved a rasping Connolly effort and produced a pinpoint long pass to pick out Emnes who controlled beautifully before cutting inside from the left and unleashing a fierce 18-yard drive that flew past Gilks. It was the Dutchman's first goal since September 24. Substitutes Connor Mahoney and Elliott Bennett both went close with curling shots minutes later as Blackburn looked to turn the screw. The Latics looked out of ideas, though a well-worked corner in the 71st minute found Connolly 12 yards out but he blazed over. Mahoney should have made the game safe three minutes later when he showed great balance to jink his way into the area. The shot did not match the build-up play, though. A frantic ending saw Jamie Hanson slice wide and Omar Bogle head over and Ewood erupted at the final whistle as Blackburn secured a vital win for their survival hopes.